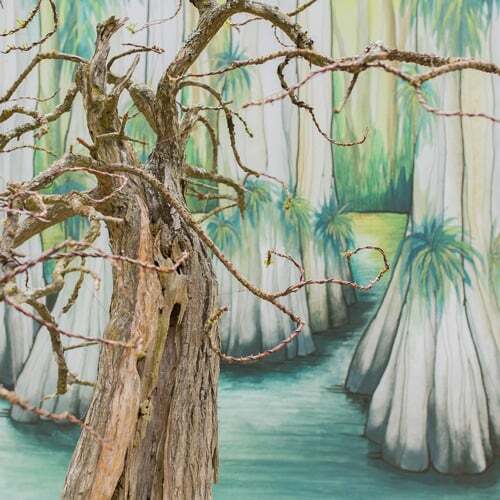 As artistic representations of trees, bonsai are collected from the wild to be cultivated as works of art. 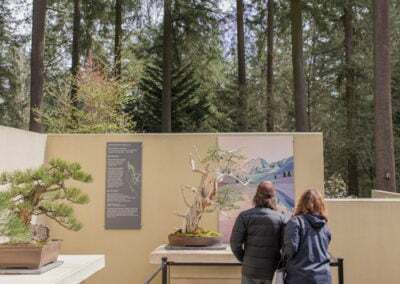 While the natural forces that shaped the tree are visibly echoed in its trunk and branches, the direct link between a bonsai and its native habitat has been lost. 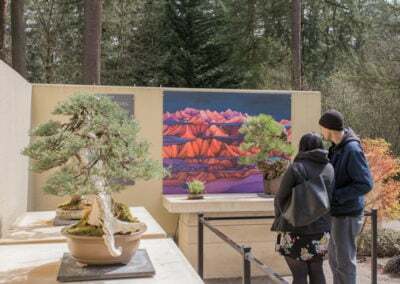 By displaying a tree with a portrait of its native domain along with herbaceous plants from the same environment, Natives reestablishes this connection between bonsai and habitat. 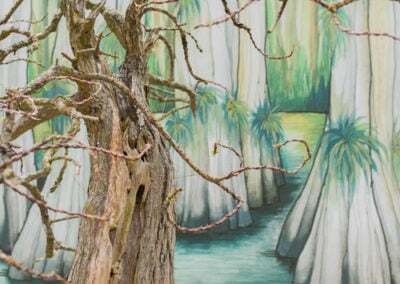 American landscapes, painted by contemporary artist Iuna Tinta, serve as artistic representations of a bonsai’s indigenous ecosystem. 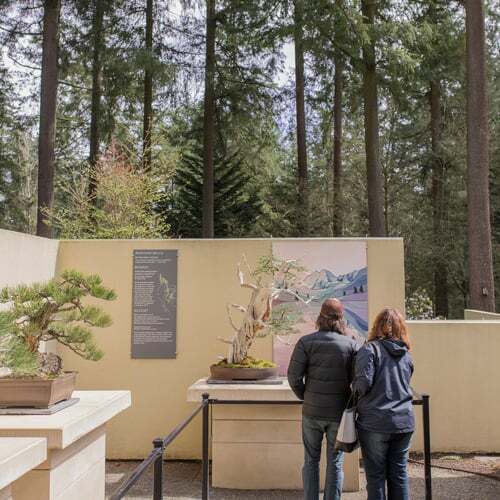 Trees from Pacific Bonsai Museum are joined with those of bonsai artists Scott Elser, Michael Hagedorn, Randy Knight, Ryan Neil, & Dan Robinson, all of whom champion the use of native trees as bonsai. 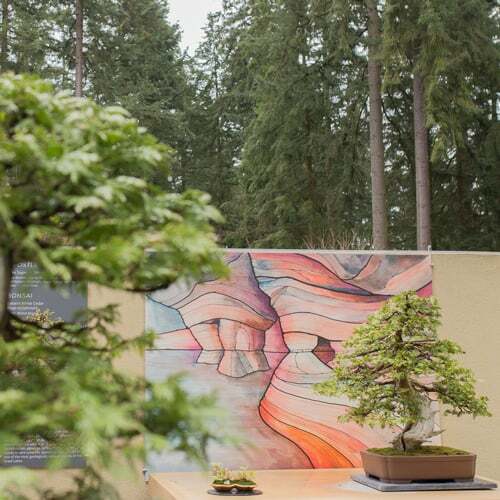 Completing each display are accent plantings by kusamono artist Young Choe and bonsai potter Vicki Chamberlain. Native plants from the featured habitats fill each container, which themselves are made from minerals collected from the same region. Each of these elements combine to create a holistic representation of a precise location. 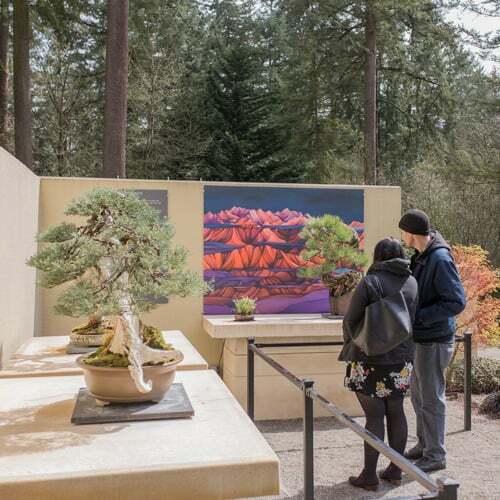 These unique vistas demonstrate how strongly plants and people are intertwined as each artist and bonsai reflect the influence of a distinct landscape. 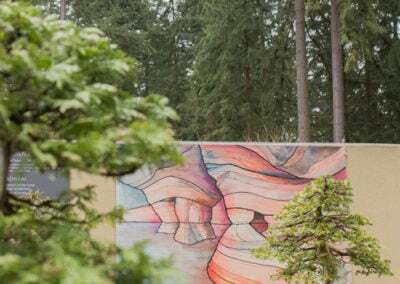 Natives celebrates the diversity of North American trees and the unique terrains that shape them and us.